Into the Dark is a suspense novel with a lot of promise. It has an interesting premise, and a lot of potential to be a great, edge of your seat thriller. Instead, it falls short. I had to think long and hard about what I didn't like about the book, because it was really hard to pinpoint. There isn't anything technically wrong with it. It has all the workings of a great story, and the writing is fine and yet I found I couldn't get into it. Finally, near the end, I realized what it was. The main character. Emilie is annoying, weak, stupid and all-in-all not a very likeable or relatable character. I found she created mountains out of molehills (her deep, dark secret) and thing that should have bothered her didn't, while tiny little things were a huge deal. Stacy Green writes a very good villain though. She only reveals bits and pieces of him, making you wonder what made him the way he is. I would say that the Taker is Into the Dark's saving grace, and probably what had me finishing the book. 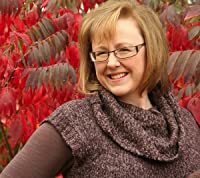 Although I'm not excited about Into the Dark I think Stacy Green has talent as a writer and I will be giving her next book a shot. If she can create a likeable main character she'll be a top-notch writer and I think will do very well. I'm giving Into the Dark 3 out of 5 stars. Branch Manager Emilie Davis is having a day like any other–until two masked men storm into WestOne Bank demanding cash. Her hopes of a quick end to her terror are dashed when she realizes one of the men has no interest in the bank’s money. Emilie is his prize, and he’s come to claim her. When hostage negotiator Nathan Madigan and Las Vegas SWAT enter the bank on a rescue mission, Emilie’s captor makes a shocking escape into the abyss that lies beneath the city: the Las Vegas storm drains, a refuge for the downtrodden and the desperate. Who is the man the media has dubbed the “Taker?” Why is he after Emilie, and what is the connection he’s convinced they share? Emilie can’t run from the Taker, and she can’t escape her own past. As her life closes in on her, she has nowhere to turn but to Nathan. The lines of professionalism blur as Nathan becomes determined to save Emilie. Together they venture into the depths beneath Las Vegas and discover a shocking piece of the puzzle. But the Taker remains one step ahead. Desperate for the threat to emerge from the shadows, Emilie makes a bold move to reclaim her life, and it may cost her everything. 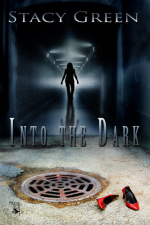 Stacy's debut novel, INTO THE DARK, has been hailed as chilling suspense with a fast-paced plot and unforgettable characters. Her Delta Crossroads Series, set in fictional Roselea, Mississippi, expertly weaves drama and suspense with a fitting dose of dry humor. Tin God (April 2013) features a poverty stricken women caught up in the dark dealings of black market adoption. It will be followed up by Skeleton's Key (Fall 2013), a thriller with a mix of history and a demented villain.